is for their Featured Stamper Challenge today. I am also entering it in The Cat's Pajamas anything goes challenge. 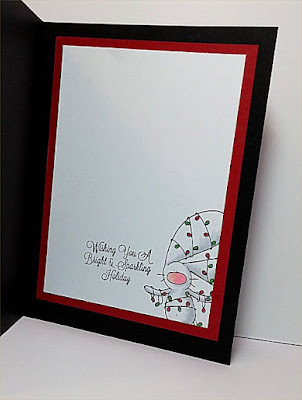 This was a fun and easy card to make and (Yea!) one more card to add to my Christmas stash. Gorgeous card both inside and out. I love that image and you have showcased him beautifully. Thank you for joining The Cat's Pajamas TCP Tuesday challenge. Doni, I love this! 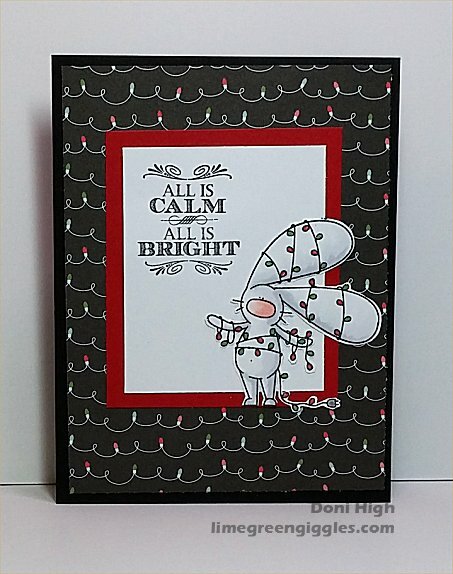 That paper is perfect for this poor little tangled Bunny! Thanks for joining us at The Cat's Pajamas TCP Tuesday Challenge! So cute! That black paper looks like it was meant to go with this stamp. So fun to have the bunny popping up inside too. Thanks for joining us at TCP!